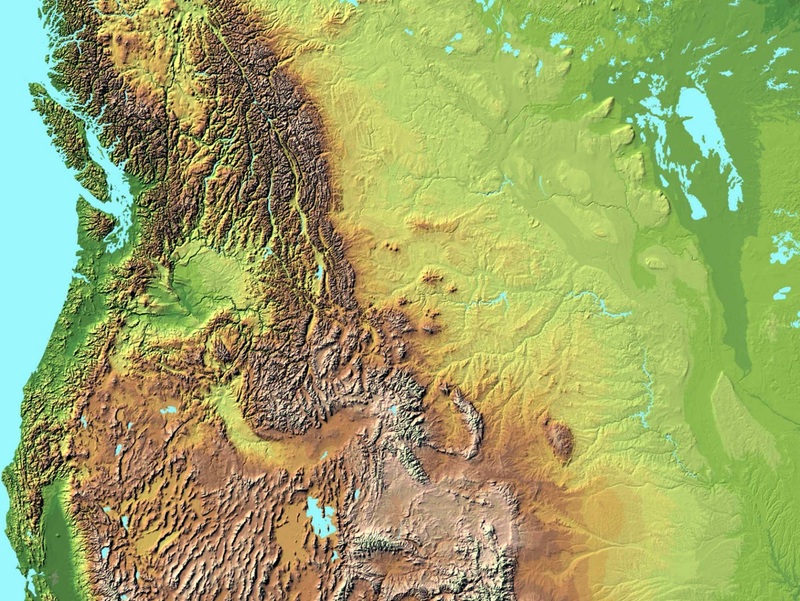 The most impressive evidence for ancient mega-floods is found in the Pacific Northwest, primarily in Washington State, Idaho and western Montana. Here the flood features are attributed to a series of events usually referred to as the Missoula Flood, or Floods, and these are blamed upon the repeated failure of a large ice dam that held back an enormous pro-glacial lake named Lake Missoula, allowing the lake to drain suddenly. The lake is supposed to have occupied the mountain valleys of western Montana, and to have been held in by a large valley glacier in the region of Lake Pend Oreille in northern Idaho and finally to have drained to the west across southeastern Washington. The floodwater is then assumed to have entered the great valley of the Columbia River from whence it was conveyed to the Pacific Ocean. In the process of Lake Missoula’s repeated draining a massive complex of erosional and depositional features were created that have almost no parallel on Earth. While they may have been the most spectacular, the Missoula Floods were not the only giant flood events to have occurred in North America as the great Ice Age drew to a close. The effects of mega-scale flood flows have been extensively documented in the eastern foothills of the Rocky Mountains in both Canada and the U.S.; across the prairie states; in the vicinity of the Great Lakes; in Pennsylvania and western New York and in New England. All of the Canadian provinces preserve large-scale evidence of gigantic waterflows. All regions within or proximal to the area of the last great glaciation show the effects of intense, mega-scale floods. Complicating the problem is the fact that areas far removed from the immediate proximity of the glaciers have not been spared the ravages of gigantic floods. The arid American southwest preserves extensive evidence of vast flooding on a scale unprecedented in modern times. The Mojave Desert of Southern California is replete with evidence of mighty flood currents drowning entire landscapes. Likewise the Sonoran Desert in Arizona and New Mexico preserves evidence of mighty flood currents. One also finds in the southeastern United States, massive erosional and depositional features in the Appalachians that allow of no other explanation than that of colossal floods. Another great flood is attributed to the catastrophic draining of Lake Bonneville, which, during the latter part of the ice age occupied large inter-montane basins in Utah. The Great Salt Lake is but a diminutive remnant of this giant lake. The passage of catastrophic floods has left their mark in Pennsylvania and Western New York. It appears that much of this continent wide flooding occurred during, or at the close of, the most recent ice age. The exact timing of the various events remains to be established. Much of the evidence points to episodic events stretching back tens of thousands of years. However, it also appears that much of this continent wide mega-flooding happened concurrently at the end of the last great ice age. Evidence for mega-scale flooding at the end of the most recent ice age is not limited to North America, but has been documented from all over the world. This evidence supports the conclusion that large-scale super-flooding events were globally ubiquitous throughout the ice age, but occurred with exceptional power and size at or near its conclusion. Among the places around the planet from which proof is emerging of floods of extraordinary size – Siberia especially, in the Altai Mountains region near the Siberian/Mongolian border, hosts evidence for massive floods equivalent in scale and power to the largest western USA floods. Across northern Europe mega-flood evidence is found in abundance. South America, too, shows extensive evidence for massive catastrophic flooding in the recent geological past, as does Australia, New Zealand, the Middle East and Northern Africa. However, for the time being, our focus will be on the great floods of North America. Eventually, however, it will be our goal to document and correlate this imposing mass of evidence for global catastrophe with a view to understanding its origin and causes. Then, we will be in a better position to address the question of social and cultural consequences. Emerging evidence of earlier mega-flood events, apparently associated with global climate changes and transition phases from glacial to interglacial ages implies a non-random distribution in time, perhaps periodic or cyclical. The geographic distribution of mega-scale flood events also appears to be non-random, certain areas being affected with greater intensity than others. As stated, the Missoula Floods and Siberian floods were, as far as can be determined from field evidence at present, the greatest known freshwater floods in the history of the Earth. Other areas experienced floods of profound magnitude, but, not apparently on the scale of these two events, although the possibility of future discoveries should not be ruled out. The study of mega-floods from tsunamis is a related but distinct area of paleoflood hydrology, which in any comprehensive purview of catastrophism must be addressed. However, for now we shall limit our discussion to floods involving fresh water, meaning events related to glacial melting or rainfall. The Missoula floods were the most powerful of the great North American floods. The vast scale, the complexity, and the sheer magnitude of the forces involved bestow upon these mighty events a preeminent ranking in any accounting of Earth’s great catastrophes. Even a preliminary acquaintance with the awe-inspiring after-effects of this extraordinary deluge can provoke a deep sense of wonder and astonishment. Through a more prolonged acquaintance with this landscape and the story that it tells, comes a humbling realization of the almost inconceivable power of the natural forces involved. No flood events even remotely close in scale are documented from anywhere within historical times. 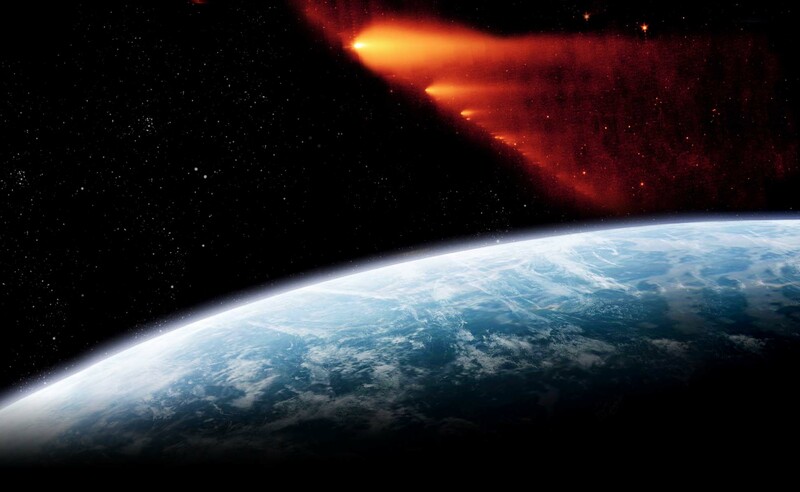 They were one of the most significant geological occurrences in the history of the earth. Their magnitude and the release of energies involved rank them with the greatest forces of nature of which we are aware. [For a perspective on this refer to these graphs.] But again, what renders these diluvial events of exceptional importance and interest is that they occurred only yesterday in the span of geological time, and, most significantly, well within the time of Man. Let us place the great floods in context. The final phase of the last ice age, the Late Wisconsin as it is called in reference to North America’s version of the Great Ice Age, came to a conclusion only some 12,000 to 14,000 years ago. While the effects of the ice age were global, the Late Wisconsin itself was the last episode of major ice expansion in North America at the close of the larger cycle of glacial climate called simply the Wisconsin, The final phase known as the Late Wisconsin appears to have lasted from approximately 25 or 26 thousand years before present to around 10 to 12 thousand years before present, depending upon how one defines the precise point of termination. The entire Wisconsin Ice Age lasted for around 100,000 years. While the timing and extent of glacial recessions and expansions throughout the Wisconsin Ice Age is still being worked out, it is clear that the fluctuations of climate and glacial mass during this time were considerably greater than that experience within historical times. The signature of the Wisconsin Ice Age was, obviously, the presence of huge volumes of glacial ice where no such ice now exists. In North America this was most of Canada and a substantial amount of the northern United States. The northern boundary of the great North American ice sheet reached to the Arctic Ocean. From there south to the area now occupied by the Great Lakes, the entire region was entirely buried under glacial ice. At the southern glacial margin the ice reached almost to the Ohio River in the eastern half of the U.S. New York lay under a half-mile to a mile of ice. Most of the states of Wisconsin and Minnesota were buried, as well as the Dakotas. The ice reached out of Canada across what is now the border, from Montana to the Pacific Ocean, with several major incursions further south in Idaho along the Rocky Mountains and in Washington State. Great glaciers also occupied many areas of the Cascades and the Sierra Nevada mountains. At the peak of the Late Wisconsin, around 18,000 to 15,000 years before present, the great ice mass reached from the Atlantic to the Pacific. However, there were actually two [distinct] ice sheets that began separately some 5 to 7 thousand years earlier and eventually grew until they coalesced near the final stage of the Late Wisconsin. The easternmost and the larger of the two was named the Laurentide Ice sheet, after a region in Quebec where it appears the ice first began accumulating. This ice sheet appears to have formed from the convergence of two centers of nucleation and outflow, one center to the east of present day Hudson Bay and one to the west. A separate ice sheet formed over the Canadian Rockies and has been designated the Cordilleran Ice Sheet by glaciologists after the collective term for the great mountain chain that forms both the Rocky Mountains and the Andes. As the Late Wisconsin reached its maximum it appears that these three ice sheets coalesced in an essentially single mass. One controversial question relates to the timing and extent of an ice-free corridor between the Laurentide and Cordilleran Ice sheets, either prior to their convergence, or after, during the retreat phase. A supposition would be that humans could have utilized such an ice- free corridor to migrate to the lower United States from Alaska, after crossing the Bering Land Bridge, which, of course, was exposed during the lowered sea levels of the Ice Age.